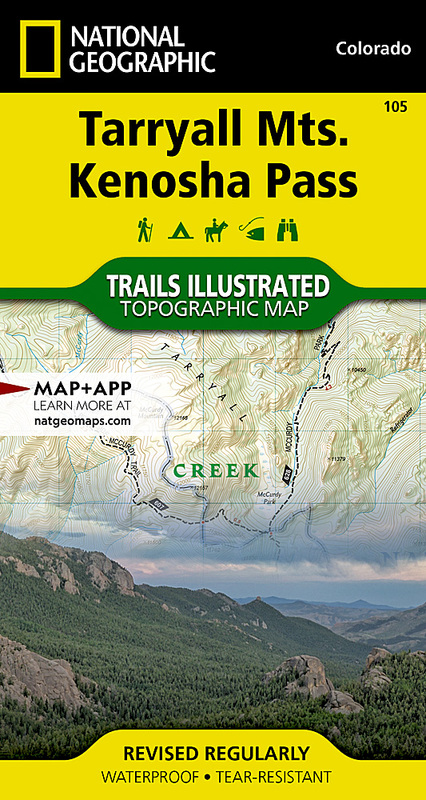 Expertly researched and created in partnership with local land management agencies, National Geographic's Trails Illustrated map of Tarryall Mountains and Kenosha Pass provides an unparalleled tool for exploring this region of Colorado's Rocky Mountains. Whether camping, hiking, snowmobiling, fishing, climbing, or biking, this map will prove invaluable in making the most of your outing. Key areas of interest featured on this map include Pine Valley Ranch Park; the Kenosha, Bison, Stoney and Hankins passes; Tarryall Reservoir; the North Fork of South Platte; Wellington Lake; and a segment of the Colorado Trail.